There were big smiles all round when the Devonport Rotary Charitable Trust presented Cure Kids, Dementia Auckland (not shown) and Plunket NZ with giant cheques for $10,000 each. A wet day did not dampen the spirits of more than 720 supporters of the Devonport Rotary Fine Homes Tour of Devonport held 27th October. This event had been held every 2 years since 2013 and during this time has raised over $55,000 for worthy charities. Devonport Rotary gratefully acknowledge all the homeowners who generously opened the doors of their beautifully presented homes to visitors and also the sponsors whose support contributed to making this such a successful event. Welcome to the 2017 edition of our Fine Homes Tour of Devonport. Everyone is looking forward to 27 October 2017 when once again 10 fine homes in Devonport will open their doors to a select list of participants. This year we are adding a bonus treat: also visit a fine garden! We at Bayleys are proud to be part of so many people’s lives for so many good reasons. Seeing the joy and satisfaction of achievement is richly rewarding in its own right. After the successful first and second Fine Homes Tour of Devonport, Bayleys are very happy to once again be part of the Fine Homes Tour of Devonport 2017. It will give architecture and interior design lovers the chance to view ten very special homes that the owners have generously agreed to open for you to enjoy with an added bonus of a fine garden. Bayleys is committed to finding innovative ways to support the communities we are part of and making a truly positive difference in New Zealanders’ lives which is why we continue to support this wonderful event. We loved being involved in the very successful first and second fine Homes Tour of Devonport. We feel it is important to contribute our efforts in the Devonport community to these very worthwhile causes and create benefit to all the recipients. Enjoy this great day and get behind Devonport and the rest of the wonderful recipients. Peter’s carpentry career began 1987 and has now included classic villas, modern and contemporary homes and a country estate. Historic restoration projects are his passion and local projects have been enhanced by a short sabbatical in the South of France working on a 16th-century farmhouse restoration. 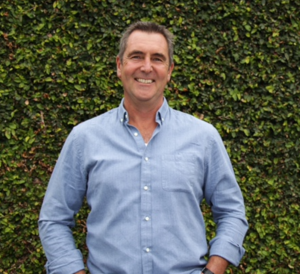 As well as his hands-on, finger-bruising vocation he enjoys the opportunity to engage with a wider audience by hosting a radio show “Sunday Mornings with the Resident Builder -Peter Wolfkamp” on NewstalkZB and presenting Creative Living on TV3. Peter is also the Site Foreman for The Block NZ which requires a unique combination of construction and technical knowledge, an awareness of compliance issues and people skills. 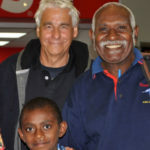 Peter is passionate about giving back to local communities and charities that support children. With the Fine Homes Tour of Devonport supporting Cure Kids and Plunket this year, Peter feels it is a great fit to be part of the efforts to raise awareness and funding for these worthy charities. The Fine Homes Tour of Devonport is a great way for people to get good ideas and to think about what they might like when renovating their own homes. Classic homes like the villas and bungalows we are fortunate to have here in Devonport present some particular challenges for renovation or restoration. The tour is a welcome encouragement and inspiration for those working on their own houses – Peter himself has recently been refreshing his own home and will be on the tour too! If you would like to know more please click here. Places & Graces is the interior styling business of designer, Kate Alexander. Kate started Places & Graces after 15 years as a graphic designer running a brand strategy and design business, Studio Alexander. Her experience with colour & composition combined with her serious passion for mixing old & new provides a unique approach to interior design. Kate believes every space has beauty, even if at first it is hidden and she believes professional interior design advice should be accessible and attainable for all. Places and Graces is proud to be a Devonport business. Places and Graces help home owners find grace in their place – whether it’s getting a home looking its best for sale, specifying a renovation, putting the finishing touches on a room or dressing the garden for a party. We believe everyone, no matter where they live, deserves to have a little of their dream home in their reality. Our passion for Devonport is equal to our passion for homes and we are proud as punch to be gold sponsors of the Fine Homes Tour of Devonport 2017. Coast & Country Homes is a high quality residential construction company who specialise in new homes, villa/bungalow & character home alterations, additions and rebuild/replica builds. We are Licenced Building Practitioners & members of The Certified Builders Association with all staff being highly skilled and trained. Coast and Country Homes have a passion & vast experience working with character homes. We ensure our whole team shares this passion and pride themselves in their work. With our high attention to detail, we ensure that all new additions are in keeping with the existing structure & finished to the highest standard. Coast and Country Homes are proud to be part of the Fine Homes Tour of Devonport 2017. Our workmanship is on show at a home where we completed a full restoration of the existing building, a large extension to the rear, all hard landscaping works and the addition of a pool. Coast and Country Homes managed the whole project from start to finish, including the management of council processes & supply and scheduling of all subcontractors. This fine home is a period home like many others Coast & Country Homes have worked on throughout Devonport and is a fine example of the level of expertise and the standard of finish we apply to our work. The company has worked hard to develop a strong positive reputation in and around Devonport and are proud to provide an incomparable level of customer service, resulting in consistent positive feedback and client satisfaction. A client’s home is one of their largest assets and finding the right team for your renovation/ building project is a big decision. At Coast & Country Homes our trade-qualified management team are backed by skilled tradesmen, with a strong network of sub-trades to ensure a wide knowledge base enabling us to select the right team for the job at hand. The renovation/building process can be very daunting and stressful for some, so we at Coast & Country Homes make this process as easy as possible by working alongside our clients to help them achieve the best possible results & make their building dreams become reality. Cosi Fan Tutte is an extraordinary space filled with inspiring gift ideas and an ambience all of its own. There is a myriad of beautiful objects to choose from… clothing, cushions, throws, jewellery, fragrances, kitchen items and much more. We specialise in Annie Sloan paints and have a large selection of rains raincoats. We send Jeanne d’Arc magazines around the country and now also stock loving Brocante and Evoke magazines. Our passion is French treasures which we abundantly stock. Everything you choose will be wrapped exquisitely… we love what we do and welcome you to love the experience of buying at Cosi Fan Tutte. Award winning Interior Designer Amanda Neill has extensive training and experience in residential and commercial interiors. 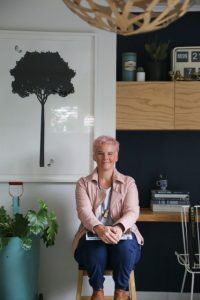 She has tutored at the Auckland School of Interior Design and been involved with Colour Forecasting for the NZ market, as well as working at an international level with projects as far away as the Isle of Man. Amanda completed TV series “How Did You Do That” on Living Channel, and featured on Newstalk ZB with Peter Wolfcamp “Sundays with the Resident Builder”. She has been published widely in a variety of Industry publications. Her seminars at the Home shows are well attended and packed full of information to assist people who want to transform their living spaces. Designworx also provides an integrated end to end process for all interior design requirements, providing a professional design service to both commercial and residential clients. Amanda is very excited to be invited to be a part of the Fine Homes Tour of Devonport. She says, not only it is such a great cause to be involved with, with many funds being raised to help those in need, but it is the culmination of many hours of hard work to showcase such a beautiful home, and a hugely generous spirit on the part of the home owners to open their home to the public to work for this cause. You really get to know your clients, how they think, and what they like and don’t like. I always tell them that design is never a lineal process, but often can do a full circle and twist and turn to get to the end result. In the larger renovations, sometimes you have to pull together 200+ decisions on colours, products and finishes, and if one falls over, it can have a knock on effect that is like a game of dominoes. I am often asked by clients how I find a starting point with my designs. For me, it is a very simple answer – it is all about how you want the space to feel, the answer sets the design direction for the whole project. Every decision on colour, product and design, comes in behind to support this. It is getting to the heart of this feeling that leads the design into a space that you love… that feels right! It is always such an exciting and humbling journey to work alongside the clients in their project. So I want to thank them for allowing this to evolve and being generous enough to share the completed end result, their renovated home, for such a great cause. From bouquets, posies and plants to corporate arrangements and bespoke gift hampers, Devonport Flowers offers designer floral services for every occasion. 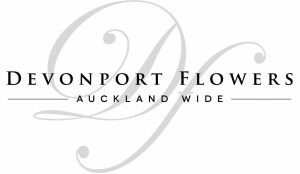 We deliver our flowers locally and Auckland wide. 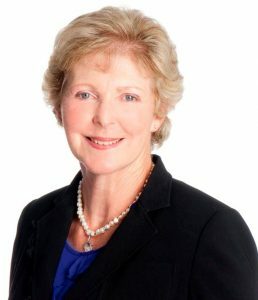 Lynda Betts – Bayleys Devonport Office. Lynda has been successfully selling Real estate since 1996 specialising in the suburbs from Devonport to Takapuna on the North Shore. With her calm stress-free approach she has achieved remarkable sales results for her vendors. She will work tirelessly to achieve the very best outcome for all. With a strong emphasis on excellent marketing, her properties are exposed to the widest targeted buyer pool and her clever negotiating skills will ensure exceptional results. Working with Lynda you know you will be in good hands as experience really does make a difference. Lynda Betts has been involved with the Fine Homes Tour, Devonport since its inception in 2013. 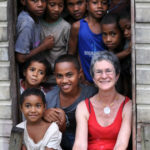 As both the Bayleys representative and a member of Devonport Rotary it has been her responsibility to source the homes to be included in the tour. Liaising with the home owners from start to finish as they get their homes ready for the day, matching each home with at least one sponsor and arranging flowers for each home. Co ordinating the photography of each home and encouraging the home owners to write some interesting notes about their home for inclusion in the souvenir booklet. Bayleys has many sources for advertising and it has been Lynda’s role to request complimentary advertising for the Fine Homes Tour which many so generously donate. As the Bayleys staff are responsible for the safety and security of each home it is Lynda’s role to coordinate the Bayleys staff volunteers for the day. Bayleys hosts a function at the Devonport office so that the donations can be given to the four charities and the home owners, sponsors and cafés involved can be thanked and Lynda organises this function. 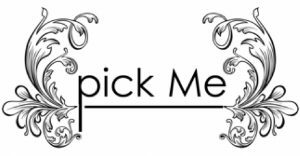 pick Me is here to provide you with fresh flowers, unique designs and competitive prices, From Takapuna to grand Auckland. We have been around for over 10 years and take pride in our excellent customer service and the quality of our fresh produce that is hand-picked from the market. We love the uniqueness of the flower world and hope that through our passion we can create interesting and fresh designs to fulfil your flower needs. At TP Builders we have been constructing top quality new homes and additions/alterations for our clients for over 30 years. We are proud to be Licensed Registered Master Builders and we have been consistently recognised for over 20 years at the House of Year competitions earning many gold awards. We have a passion for producing the highest quality architecturally designed residential homes. We pride ourselves on our team of highly skilled and dedicated people. Forming excellent working relationships with our clients is crucial for us to ensure that the end result is a home that our clients and we are extremely proud of. These cafes sponsor the Fine Homes Tour of Devonport. All participating cafes will offer a 10% discount off the total bill to all Fine Homes Tour guests who display their security wrist band on the day. Corelli’s Cafe pride themselves on providing great tasting home-style fare at a great price. 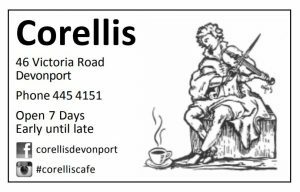 Visit Corelli’s Cafe Devonport for tasty, fresh, home cooked food in a relaxed, family friendly environment. Platter 33 King Edward Pde, Devonport. Platter Cafe, Bar & Restaurant is a friendly neighbourhood restaurant in one of the best locations in Auckland. It’s a place where you can sit, relax and enjoy delicious food, friendly service, great coffee and a spectacular unobstructed view of the sea. Platter is open for breakfast, lunch and dinner. 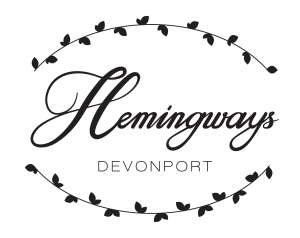 Hemingways 2a Rattray St, Devonport. We’re a friendly garden bistro open for breakfast, lunch and dinner. We’ve got a delicious menu, great atmosphere and some cool cats onboard for our coffee and beer selections. So, if you’re in the mood for good food, come on down and pay us a visit! Every fine home needs a fine Gelato shop close by! 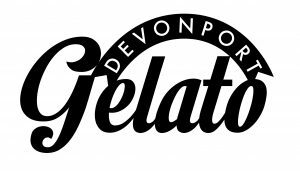 Devonport Gelato strives to make the best traditional and seasonal flavours and our gelato summer season will start again in Spring 2017! $30 buffet lunch only, 11.30 am-2.30pm only. Nestled on the foreshore of Cheltenham beach, McHugh’s of Cheltenham offers spectacular views of Rangitoto and the Waitemata Harbour. The venue has hosted special occasions for over 100 years. Our superb cuisine together with our unique location makes McHugh’s the perfect place for your special day. McHugh’s of Cheltenham is a hidden gem that delights and astounds guests the moment they arrive and will make every event a memorable occasion. The Living Room 8 Victoria Rd, Devonport. The Living Room is an organic cafe and store specialising in organic and health products, fresh juices, smoothies and food. The Living Room makes daily organic and vegetarian food with options including gluten free, sugar-free, vegan and raw. Located close to Cheltenham beach, Vauxhall is a local café, popular in the neighbourhood, which serves breakfast, lunch and afternoon tea. We pride ourselves on bringing you high quality, healthy products at a very reasonable price, and almost all of our products are freshly made on site. We are particularly well known for our coffee, but there is a number of other drinks to choose from, including a wide selection of cold drinks for hot summer days. The range of foods we serve is even wider; anything from muffins and sandwiches to soups, toasts and many other warm dishes and sweet treats. Our friendly staff are here to welcome you from 7:30 am to 3:30 pm every day of the week. We would like to extend a particularly warm welcome to Fine Homes of Devonport Tour guests. Help support Devonport Rotary in raising $40,000 for our 4 beneficiary charities and be in with a great chance to win one of our great raffle Prizes. Raffle tickets cost $5 each or x5 for $20 and are only available on the day – CASH ONLY. The Rotary Club of Devonport Charitable Trust was registered on 30 June 2008. The Trust is closely aligned with the Rotary Club of Devonport and supports the charitable activities of the Club. The objectives of the Trust are to support any charitable purpose, whether it relates to the relief of poverty, the advancement of education, or any other matter beneficial to the community. A major source of funds for the Trust is Donations from Rotary Club of Devonport from its fundraising activities, such as the Fine Homes Tour. The Charitable Trust makes grants to organisations, including other charities, and supports charitable activities in the local community and wider area. Activities supported include education, youth initiatives, health, emergency/disaster relief, arts/culture, sport/recreation, and Rotary Foundation projects. Particular examples include Devonport Heritage Walks brochures, Takapuna Grammar School Scholarships for tertiary education, local students to attend Rotary Summer Science School, Devonport Rotary Club’s annual Seniors’ Christmas Dinner, Devonport Depot Art Space recent Rembrandt Exhibition, Trees for Survival projects in local schools, and a Rotary Solar Ice project in Vanuatu (funded via Rotary NZ World Community Service). Dementia Auckland is a not for profit organisation dedicated to providing dementia support services and to inspiring those living with dementia to make the most of life. As a key player in the dementia journey, Dementia Auckland supports people with dementia and their family/whanau through a range of services across the greater Auckland region. We believe that with the most up to date support programmes, improved environments, and connections to community, people affected by dementia can continue to live an enriching and enjoyable life. Having been one of the lucky recipients of funds raised by the Devonport Rotary Fine Homes Tour in previous years, Dementia Auckland is once again thrilled to be supported by such a fantastic event in 2017. The money raised from this event will help us fund our hugely successful socialisation services, run across Auckland for free. With the aim of providing stimulating, meaningful and culturally appropriate activities for people with dementia, and respite for their carers, Dementia Auckland’s socialisation services are a growing number of community-based groups, with many happening on the North Shore. There are many more activities planned for the coming year including; golf, cooking, art engagement, music and choir, men’s groups and walking groups on the North Shore. There is also a weekly exercise group – in conjunction with Integrated Neurological Rehabilitation Foundation – to help participants maintain mobility, decrease the risk of falls, improve vitality and retain functional independence. None of these groups could exist (or will exist) without the support of organisations such as Devonport Rotary and the attendees of the Fine Homes Tour. We are so grateful for your support. The Royal New Zealand Plunket Society is a national, not-for-profit organisation that has been providing a caring professional well child and family service for 110 years. Plunket is the largest provider of free support services for the development, health and well-being of children under five in New Zealand, offering parenting information and support as well as developmental assessments at varying stages between birth and five years. Plunket is committed to providing universal access to services for all children and families regardless of ethnicity, location or ability to pay. 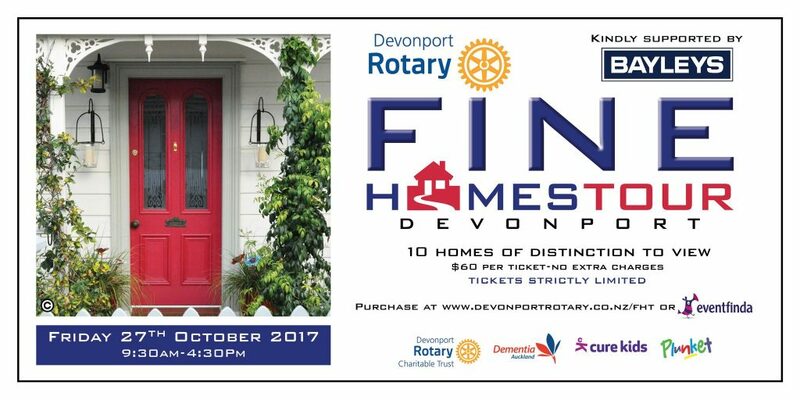 Plunket is honoured to be a nominated charity for the 2017 Fine Homes Tour of Devonport event. Our Devonport Plunket clinic has been a hub for local families for many years providing child development assessments, information sessions, coffee groups and a place to relax and meet other families. Plunket strongly believes the support of new parents is critical in helping every child have the best start in life. We work together with families and communities to achieve this. In addition to the child development assessments provided by our Plunket Nurses, we offer a wide range of free or low-cost community groups and services aimed at supporting parents and connecting our communities. On the North Shore these include parenting education classes to give parents tips for each stage of their child’s development, coffee groups including community-specific groups such as Chinese, Korean, South East Asian and Young Mums, a toy library, a family centre, a home visiting programme providing practical support to families who are struggling, a weekly walking group, preparing your baby’s first foods cooking lessons, and four weekly playgroup sessions. Unlike the well-child visits, our community services are not government funded and we rely on fundraising, donations and grants to provide these to families. Money raised through this fantastic event will help us to continue to provide these and new services to all families on the North Shore. You can view and download our latest Media Release here. 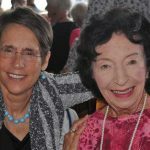 Questions about the event? Send us an email and we’ll get back to you just as soon as we can. You can reach us at info@devonportrotary.co.nz. Please include Fine Homes Tour in your subject line. Thanks!